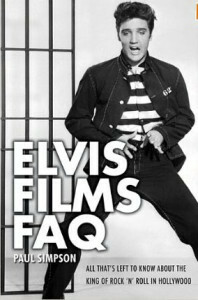 Hot off the press is the newest book publication by well-known British journalist and author Paul Simpson with the intriguing title Elvis Films FAQ: All That’s Left To Know About the King of Rock ‘n’ Roll in Hollywood. Simpson (*1961), who works as editor of Champions Matchday, The official magazine of the UEFA Champions League, has already published a number of books on topics closely related to popular culture such as The Rough Guide to James Bond (2002), The Rough Guide to Cult Fiction (2005), 397 Ways To Pick A DVD (2009) … and he is a big Elvis fan! Elvis Films FAQ is Simpson’s second book on the King of Rock ‘n’ Roll after the well-received The Rough Guide to Elvis (2005) – The Memphis Flash talked with Paul Simpson about Elvis Presley’s movie career and the new book → Elvis Films FAQ. The Memphis Flash: Paul, as a professional writer and longtime Elvis fan what made you dedicate a book with 400 pages to Elvis’ movies? Although initially successful at the box office, they today are mostly not well-regarded by fans, critics and Elvis biographers (Peter Guralnick) alike. Some even say the movies are the low point of Elvis Presley’s career. Frankly, is there really a point for such a book – and why? Paul Simpson: The point is the movies were important to him – and as a fan and someone trying to understand his life and career I felt they were worth exploring. They did produce some great music, memorable scenes and helped him become such a global icon. Many of the movies are worth exploring on their own merits – the twin peaks being King Creole and Flaming Star – and the process which created them sheds a lot of light on how Presley’s career was run. Also, this is one aspect of his working life that is under-explored – Guralnick, in his near definitive biography, can barely wait to gloss over some of the travelogues in the 1960s. I can understand why but if Elvis hadn’t wanted to be the next James Dean or Tony Curtis, we might never have heard of him. Paul Simpson: Right. The image that stays with me now, after the book is published, is Elvis as a child rushing into a cinema in Tupelo with his dad (something the Assembly of God church would not have approved of in the 1930s and 1940s) and marveling at the serials and films, watching Crosby singing Blue Hawaii in Wakiki Wedding and dreaming of a different life for himself and his family. Did that escapism, that permission to dream, keep hope alive in the desperate, dehumanising poverty of his boyhood? “In viewing the [initial screen] test  one thing was clear: it would be a mistake to try to force this strong personality into a preconceived role. His parts must be tailored for him, designed to exploit the thing he did best – sing”. This comes across almost as an insult. But was it really meant that way? The German film historian Björn Eckerl – he wrote the book Elvis im Kino: Was wir von Elvis-Filmen über Elvis und das Kino lernen können (Elvis in Cinema. What we learn about Elvis in his movies and about movies as such) – has a similar approach when he says that there was no chance to present Elvis in any other way than Elvis because his personality, iconic status, and image were likely to break every genre, i.e. even a SciFi movie is an Elvis movie the very minute he appears on screen. 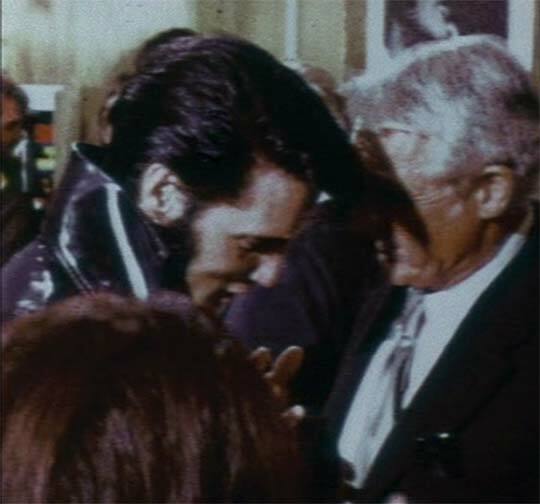 Eckerl does not blame this on Elvis lack of acting skills – his skills not being the point at all – but very much on the expectations of the moviegoer, who instantly recognizes the man. In other words, there was not much Elvis could do about it. What do you think? Is there something to the perspective of Allan Weiss and Björn Eckerl or are these guys completely off the track? Paul Simpson: Weiss and Eckerl both have a point though they may be making slightly different points. It is true that Elvis was such a powerful, recognizable icon that it is hard to see beyond the image – which is why so many movies played off idealized or distorted versions of his life story or persona. Yet some filmmakers proved that this disadvantage could be overcome. He transcends his image to create believable characters in King Creole (1958), Flaming Star (1960), Wild In The Country (1961, not all the time but he is particularly effective in his scenes with Hope Lange) and Follow That Dream (1962) where he looks plumper and with fairer hair to suit his character of the innocent abroad. As Toby Kwimper, Elvis plays his character superbly well, escaping the restrictions of his image and bringing out the gentle humour in Richard Powell’s story. Weiss has a point too, although it seems like a retrospective defence of a policy that ultimately led Elvis to sleepwalk through some roles. Even Weiss was depressed by his star’s disenchantment – and chafed at the restrictions imposed on him as a writer as the formula became safer and shallower in the 1960s. The singing personality formula wasn’t necessarily wrong – you could put King Creole (which Weiss didn’t write) in that category and it paid off when you hired a gifted director like George Sidney [for Viva Las Vegas] – but by 1965 it was clear that artistically and commercially it wasn’t working and a rethink was clearly in order. Later, as the formula collapsed, Elvis played off his own image to good effect in The Trouble With Girls (1969) and Change Of Habit (1969). Making cinemagoers forget Elvis’s persona was never going to be easy – just as it never really seemed to work when you took John Wayne off the range – but it did prove worthwhile on the few occasions a director took the challenge seriously. The Memphis Flash: Elvis was a big movie enthusiast himself: He rented local movie theaters in Memphis after hours and screened his personal favorites for himself and friends. What movies did he like? Is there a common denominator? Anything one can conclude from his preferences? Paul Simpson: Elvis told Marion Keisker at Sun: “I sing all kinds”. He was as open-minded when it came to movies. His all-time favourites were probably Across 110th Street, Dr Strangelove, Rebel Without A Cause and Patton (which contained a line he used to quite a lot: “All glory is fleeting”), but he also loved To Kill A Mockingbird (an in intriguing choice because of its racial politics and subsequent attempts by Albert Goldman to present him as a racist redneck), Max Ophüls’ artsy romance Letter From An Unknown Woman, Dirty Harry, Monty Python And The Holy Grail and most films Peter Sellers starred in. 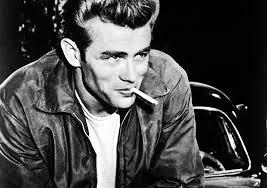 Although James Dean was his favourite actor, he also liked Humphrey Bogart, Marlon Brando, Kim Novak, Peter Sellers and Richard Widmark, to name a few. Given that the range of movies he watched varied from a documentary about native life in Papua New Guinea to the macho posturings of Clint Eastwood as Harry Callahan, the only thing I can conclude is that he would watch almost anything if he had the time. The first part of the quote indicates that the King was well paid, alas money was not the point. But how well paid was Elvis Presley compared to other actors of the era and the industry standards of the time? 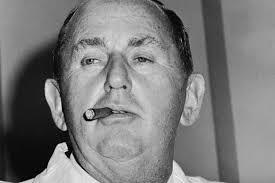 Pauls Simpson: In the mid-1960s, when Parker finally achieved his goal of persuading MGM to pay “his boy” $1m a picture, it seemed like one of his biggest coups as a negotiator – especially as the deals guaranteed his client a share of the profits on top. 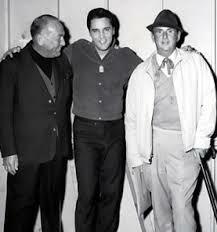 It’s hard to say if that made Elvis the highest paid actor in Hollywood as was so often boasted. In 1957, William Holden got $1m plus a share of the profits for The Bridge Over The River Kwai. Five years later, Liz Taylor got the same flat fee for Cleopatra. The picture is also complicated by profit-share deals, the details – or mere existence – of which were not always disclosed. So without inspecting the studios’ books, all we can safely say is that Elvis was one of the highest paid actors in Hollywood in the 1960s. Ironically, that fee was negotiated shortly before his last sizeable box office hit Girl Happy (1965), and, as his films earned less revenue at the box office, made him an expensive proposition that, by 1969, almost no studio would touch. 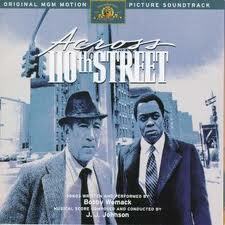 His last feature film, Change Of Habit (1969), was made as part of the NBC TV special deal. The Memphis Flash: Elvis also criticized that Hollywood’s image of him was wrong. On the other hand you describe in Elvis Films FAQ that he avoided private conversations with producer Hal Wallis a number of times and was not one to seek the company of his directors. 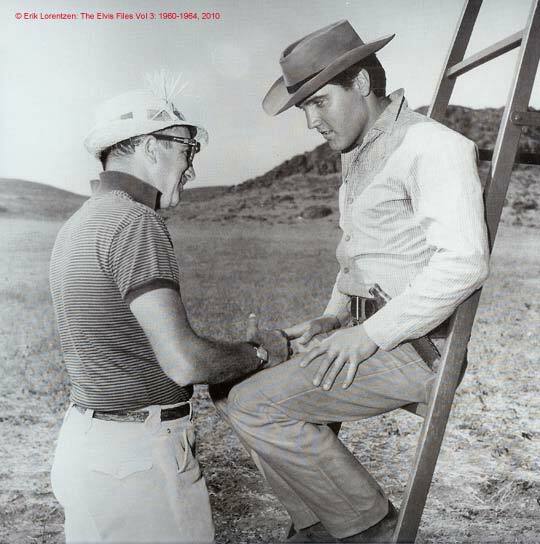 Don Siegel, director of Flaming Star (1960), finally was so fed up with Elvis avoiding him that he decided not to do another Presley picture again. It sounds as if Elvis contributed to being misunderstood quite a bit by shying away from those who were influential in Hollywood. 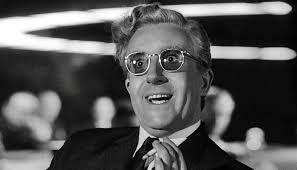 Could he have had a more satisfying movie career by behaving differently? What were his problems in the first place? Paul Simpson: As Sam Phillips pointed out, Elvis suffered from a crippling self-insecurity. He overcame that in recording studios and on stage but he never felt the same ease in Hollywood, especially as the movies declined in quality. When he first moved to Tinseltown, he looked up to actors like Nick Adams, Shelley Winters and Natalie Wood who had worked with his idol James Dean, but he made few enduring friendships in Hollywood. He was discerning enough to appreciate the inadequacies of his own movies and, as his career wore on, understandably became more defensive and withdrew. This was understandable because there were some co-stars who made it clear on set that acting in an Elvis film was beneath them. That must have stung. The pity here is that Wallis, Siegel and Gordon Douglas – who caused much consternation just by trying to have dinner with his star on the Follow That Dream set – could all have given Presley some sage advice. Wallis genuinely liked Elvis and could have given him some useful, disinterested counsel. If nothing else, the relationship between star and producer might have usefully kept Parker on his best behavior. 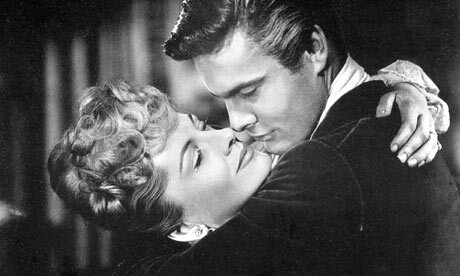 There were other relationships – sometimes with co-stars such as Hope Lange or, as I suggest in my book, with Patti Page and her husband Charles O’Curran, who choreographed some of the King’s movies – that might have helped him grow as an actor and earn more respect in Hollywood. But it wasn’t to be. 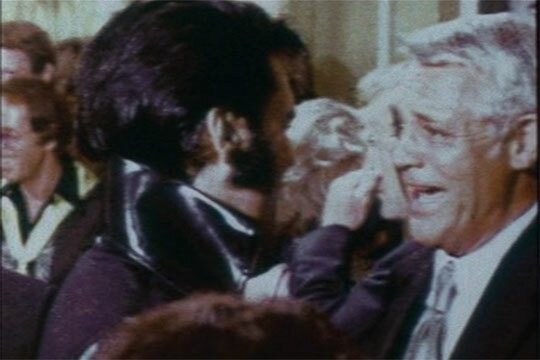 It’s a shame that Elvis only met with Cary Grant, who genuinely adored him, when he was in Vegas. Grant had piloted his own course in Hollywood better than any other actor of his era and would have made a superb role model for Elvis. The Memphis Flash: Obviously, music played a big part in Elvis movies. Could you shed some light on the mechanisms that led to every movie starring Elvis being a musical comedy with an accompanying soundtrack album? What is the difference between Elvis who started as a singer and conquered the big screen and those with similar careers like Frank Sinatra, Bing Crosby and Dean Martin? Paul Simpson: The biggest difference between Presley and the other three is that they all had a far firmer grip on their own destiny. Sinatra started out in musical comedies but when they yielded diminishing returns, and he was all but out of the business, he made a bold gamble to play a minor but key role in From Here To Eternity. His gamble paid off artistically (with an Oscar) and commercially, establishing the precedent that he didn’t have to sing in every movie. Crosby and Dino enjoyed similar breakout roles – the former won two Oscars and the latter could have generated more box office revenue than Sinatra. The pity for Elvis is that his gambles – King Creole and Flaming Star – didn’t pay off in the same way. They both got good reviews but no Oscar nods and weren’t as commercially successful as musicals like Blue Hawaii (1961) and Viva Las Vegas (1964). 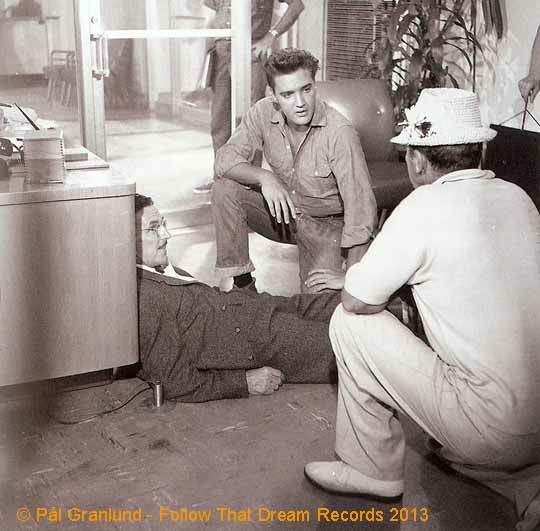 From a financial viewpoint, Elvis’s acting aspirations looked risky. A travelogue was guaranteed reasonable returns at the box office (so Presley/Parker would take their cut of the profit, on top of the fee), usually spawned a soundtrack album (which could sell anywhere between 300,000 – 2,000,000 copies, again with Presley/Parker taking a cut) which mainly featured songs written for one of the music publishing companies Parker had set up for Elvis (which, again, would give Presley/Parker a percentage of the action). Against that, a serious dramatic role could work at the box office – although there was a real risk that it wouldn’t – and possibly lead to bigger, better roles in the future. That’s why as W. A Harbinson put it in his illustrated biography, “If Elvis stops singing, the cash registers stop ringing and there ain’t another thing to discuss”. The Memphis Flash: Harbinson sure had a great way to put it! In the chapter “Pieces of my life” of Elvis Films FAQ you discuss Douglas Brode’s attempt in Elvis Cinema and Popular Culture to cast Elvis as a kind of auteur with the movies being “autobiographical statements by their enigmatic star”. How could this be – Elvis was not involved in the development of the scripts and (to his own dissatisfaction) did not have script approval? Paul Simpson: It’s hard to say. [Elaine] Dundy (author of Elvis and Gladys) implies – but does not explain how – it was Parker’s doing. 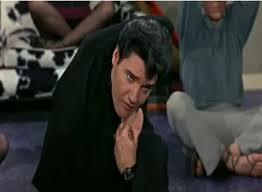 Research shows that Parker was not always as hands off in script development as he liked to suggest and Presley certainly felt that, for example, the yoga scene in Easy Come Easy Go (1967) was inserted to poke fun at one of his new passions. He may have a point – as it seems to serve no other purpose in the development of the story. And the autobiographical resonances – the dead mother, the feckless father, the twins, him being a Southern good old boy – are such a consistent feature they do seem more than coincidental. One innocent explanation, as Edward Anhalt has said, is that the writers tried to write about things he liked – cars, Hawaii, beautiful women – and indeed George Kirgo says the first draft of the script for Spinout (1966) essentially contained everything they thought they knew about Presley, prompting Parker to respond that if he ever sold his client’s life story he’d get more than a million dollars for it. I must admit the preponderance of trial and jail scenes had never occurred to me until I read Dundy’s Elvis And Gladys. And though I’m not convinced they do allude to Vernon’s [Elvis’ father’s] imprisonment, a dirty family secret, I find it hard to explain their prevalence. Gabe Tucker recalls a moment during the shooting of Tickle Me (1965) when Parker has the jail from Jailhouse Rock (1957) sent to the lot. 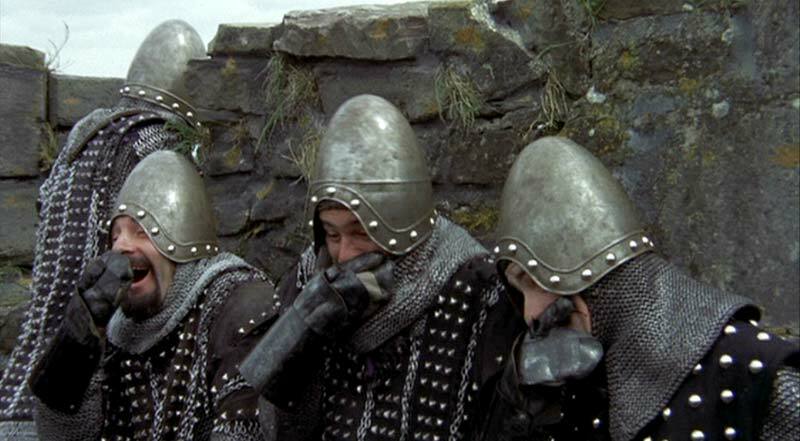 It seems a rather odd joke, even by the Colonel’s standards, so who knows? But as you say, Elvis’s involvement with his scripts seldom extended beyond reading them. The Memphis Flash: Although Elvis movies are usually not well-regarded, TV channels like Turner Classic Movies and ARTE regularly have Elvis Presley movie days where you can view the King nonstop in many of his 31 feature films. Maybe there’s nothing wrong with those movies after all? Paul Simpson: Their popularity on TCM and ARTE may have as much to do with the loyalty of Elvis’s fans as with their quality. To be fair, I would say 12 of them – Loving You, Jailhouse Rock, King Creole, Flaming Star, Wild In The Country, Follow That Dream, Blue Hawaii, Roustabout, Viva Las Vegas, Girl Happy (despite the ropey soundtrack), Speedway, The Trouble With Girls – have proved durable entertainment. A few others have standout scenes or songs: I’m thinking of Bossa Nova Baby in Fun In Acapulco or Elvis banging the prisoner’s head against the bars in Charro (1969)! Yet at the same time, the travelogues often let themselves down with dodgy back projection, lame dialogue and truly awful songs like Old McDonald, Smorgasbord and There’s No Room To Rhumba In A Sportscar. Since the films were made, movie criticism has become a lot more tolerant. Danny Peary all but invented the idea of the cult movie in his books and that did shatter the old critical consensus that had, often unfairly, damned some of Presley’s movies. 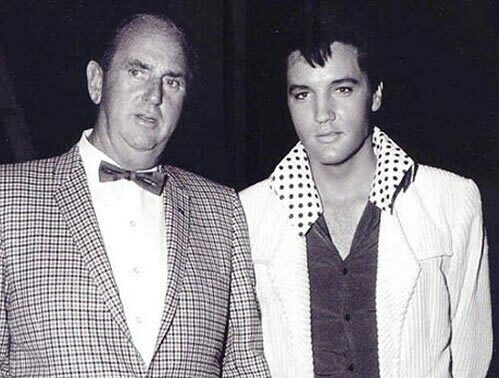 The Memphis Flash: One of the people who genuinely enjoyed watching Elvis movies on TV up to his own death was Elvis longtime manager Colonel Tom Parker, as Loanne Parker told during a fan event in Germany (Elvis-Weekend in Bischofsgruen) a couple of years ago. According to Loanne, the Colonel used to say: “And these films are good, no matter what they say”. What role did the Colonel play in Elvis Hollywood career? Was the guy completely nuts, self-seeking and irresponsible, as many people suggest? Paul Simpson: He was probably all those and more – including, between 1954 and 1960, incontrovertibly a genius at managing and promoting “his boy”. Loanne’s remark is interesting because Patti Page said that she always felt the movies represented Parker’s idea of good entertainment, not Elvis’s. They were, mostly, escapist fare that wouldn’t offend anybody – apart from the critics or discerning fans or, eventually, the star himself. 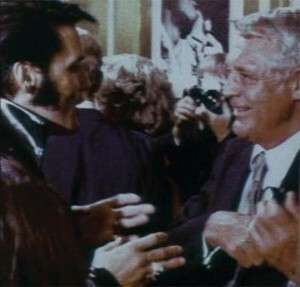 Parker was the dominant influence on Presley’s acting career. In some ways his influence was obvious – his preference for soundtrack-spawning musical comedies became the default setting for the films between 1962 and 1968 and all but extinguished any hopes Presley had of being recognised as a serious actor. It’s hard to read the Colonel’s motives here. He may have genuinely feared that Elvis would be exposed as a poor actor – as Joe Pasternak suggested – which could have put the skids on the star’s career. He may have lacked the vision to see how it might have paid off if Presley had taken more risks and pursued dual careers as a singer and actor – although there were plenty of precedents, notably Crosby and Sinatra. Though flamboyant, he was intrinsically conservative and there is no doubt that the business as usual movies like Clambake (1967) and Fun In Acapulco (1963) were less of a threat to what was, for artist and manager, a very profitable status quo for most of the 1960s. If you had your eye as ruthlessly on the bottom line as Parker did, Elvis’s aspirations to act were largely irrelevant or, at best, something merely to be paid lip service to. The Colonel always seemed quick to prey on his client’s insecurity and underline the comparative failure of more ambitious dramas such as Flaming Star (1960) and Wild In The Country (1961) – and quickly found financial deal breakers when Elvis was offered more interesting parts in movies like Thunder Road and A Star Is Born. Parker did the deal with Wallis and later brought in Sam Katzman to slash production costs. 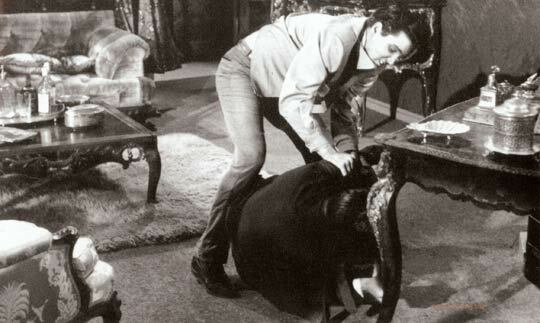 To his credit, he regretted this after watching Harum Scarum (1965), realising that if certain minimum basic standards weren’t maintained, Elvis’s career could be irrevocably damaged. Parker also affected Elvis’s career in ways that were hard to quantify. For a start, he wasn’t easy to deal with. Wallis and his partner Joseph Hazen knew the Colonel needed careful management right from the start. It was worth the hassle when you were counting the profits from Blue Hawaii, or taking genuine artistic satisfaction from King Creole, but not when you were releasing Easy Come Easy Go which was greeted with indifferent reviews and probably didn’t break even on first release. So one of the known unknowns is what Elvis could have achieved in Hollywood if producers and studios hadn’t had Parker to deal with. Considering his focus on the bottom line, Parker’s wrangles with Wallis over a new contract in the mid-1960s was counterproductive. By this point, there were many other teen idols Hollywood could exploit – and the Beatles’ first two movies generated much more box office action than Elvis – and a more conciliatory attitude might have kept Wallis on side. Instead they parted acrimoniously, with Wallis sending Parker a check for $25,000 and vowing never to work with the Colonel or Elvis again. He also refused to heed Pasternark’s warnings that you couldn’t make good movies when so much of the budget was eaten up by the star’s fee. Sometimes, less can be more in the long run – and Parker never seemed to grasp that. I don’t think Parker ever really looked out for anybody but himself. That’s not unusual among showbiz managers. What made it more damaging in Elvis’s case was that he never had a good lawyer. If he had, as [Joseph] Hazen indicated, Parker would have had to change his modus operandi. In the long run, that might have been better for him and Elvis. The Memphis Flash: Paul, as someone who has dedicated a lot of time and effort in exploring Elvis movie career, if you had the once in a lifetime chance to advise Elvis Presley, who made his last movie in early 1969, on a second run, how would you approach the task? Paul Simpson: I don’t think he would have needed any persuading, the challenge would have been Parker. A Star Is Born (1976) was a golden opportunity. Holding his own against Streisand in such a blockbuster could have been a game changer. Hollywood is such a fickle town that one success like that could have turned the perception of his talent around. He could then have made one movie a year and done just the one tour, been less exhausted and creatively more satisfied – who knows what might have been? 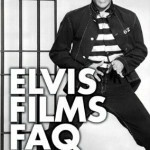 The Memphis Flash: Last but not least, what is your favorite Elvis movie and why? Is your favorite one also the one you believe is his best effort? Paul Simpson: That’s a hard one. King Creole (1958) and Flaming Star (1960) are his best, Viva Las Vegas (1964) is his most entertaining, but the one I’m drawn to is the incredibly underrated The Trouble With Girls (1969). An Altmanesque small town comedy drama where the plot is substantial enough to include a murder, the period feel of America in the 1920s is beautifully drawn and Elvis is at his most handsome, relaxed and charming. A proper soundtrack – with a handful of songs that actually relate to the plot and some other music from the period – is a nice bonus too. The cast is decent, the script has some genuinely funny lines and Marlyn Mason is probably Elvis’s feistiest leading lady since Ann-Margret. Shame Sheree North takes so long to sober up but if you fast forward through some of those scenes, it’s a modest, but really engaging movie. I also have a soft spot for Roustabout (1964) which, thanks to John Rich and the inspiring presence of Barbra Stanwyck, is a class above some of the other romantic musical comedies. The opening scenes – until Elvis is sprung from jail – are really sharp, as sharp as the dialogue in Jailhouse Rock and King Creole. Roustabout straightens out into something more conventional after that but I still enjoy watching it. The Memphis Flash: Great choices: The Trouble With Girls is one of my favorites, too. I’m looking forward to Marlyn Mason attending the next Elvis Weekend in Bischofsgruen as special guest in April 2014. But what is Elvis worst movie in your opinion? Paul Simpson: If you judge the movies on technical quality, coherent plot and quality of soundtrack, then it has to be Harum Scarum (1965). Yet it is so bizarre it’s almost a cult movie and Presley, against all the odds, looks entertained, amused and engaged at times, so I find that much easier to watch than Paradise Hawaiian Style (1966), a singing personality movie with no great songs and little personality, a product of the Elvis moviemaking machine when everyone – producer, director, writer and star – are on autopilot. The Memphis Flash: Thanks a lot for taking the time to do the interview. I hope there will be a lot more about Elvis from Paul Simpson in the near future.